Forging a historic reconciliation between the Fatah and the Islamist Hamas factions, Palestinian authority President Mahmoud Abbas was swore in a unity government in Palestine on Monday. It is for the first time in seven years that one government is in charge, administering both the West Bank and the Gaza Strip. 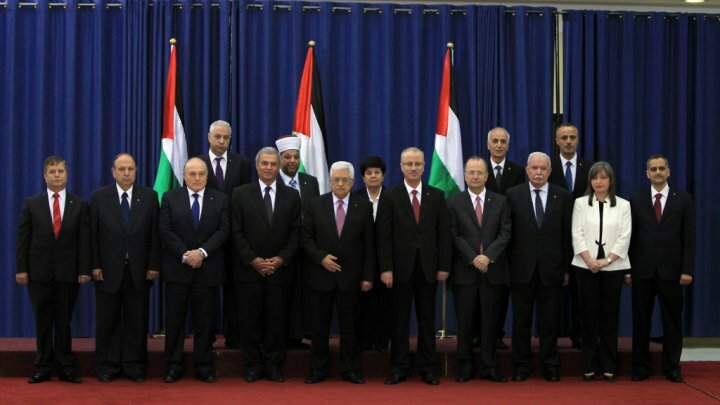 The long-awaited government of national unity headed by Prime Minister Rami Hamdallah was sworn in by President Mahmoud Abbas in Ramallah. 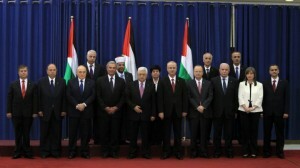 Thirteen independents took their oath in a brief ceremony at Mr. Abbas’ headquarters. Abbas said the 17-member Cabinet, with ministers from both the West Bank and Gaza Strip, would follow his policies and meet international conditions for diplomatic contact: recognition of Israel, renunciation of violence and acceptance of previous accords with the Israelis. Apparently disconcerted by the move, Israeli troops on Tuesday shot dead a Palestinian who the military said had opened fire and wounded a soldier at a checkpoint in the occupied West Bank. The Palestinian mainstream Fatah group identified the man as Alaa Odeh, a 30-year-old mobile phone shop owner, and along with relatives accused soldiers of killing him in cold blood. The United States said it would work with the new Palestinian government and continue providing it with financial aid, because the interim Cabinet is composed of technocrats that do not include ministers affiliated with Hamas. “Based on what we know now, we intend to work with this government, but we’ll be watching closely to ensure that it upholds the principles that President Abbas reiterated today,” said State Department spokeswoman Jen Psaki. Israel said it was “deeply disappointed” by the US readiness to work with a new Palestinian unity government which was sworn in on Monday as part of a deal with Islamist movement Hamas. “We are deeply disappointed by the comments of the (US) State Department regarding working with the Palestinian unity government,” a government official said. “This Palestinian government is a government backed by Hamas, which is a terror organisation committed to Israel’s destruction,” the official told AFP, declining to be named.